A Life of Sugar and Spice: It's Wednesday already. 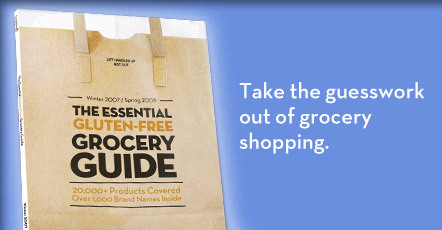 Last night I took my Essential Gluten-Free Grocery Guide to Stop & Shop with me. It was very helpful and I bought a bunch of stuff. This morning I had a Caramel Apple snack bar made by Enjoy Life. It was a little gritty, but for convenience it worked out nicely. Being a young single girl that lives on her own, I find not only do I not have enough time to cook for myself but I always end up throwing away food because I can never finish the leftovers. This makes going gluten-free a little more challenging but I know I can handle it. I do love to cook so I'll just work on cutting recipes and making enough food just for me. Tonight is kickboxing so that's fun. I'm really glad winter is over and spring is finally here. The cherry blossoms are in full bloom and they are my absolute favorites. I will hopefully get a chance to take some photos. Maybe tomorrow. Yes, I'll plan for that, I hope it doesn't rain!